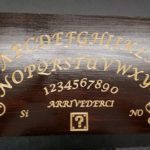 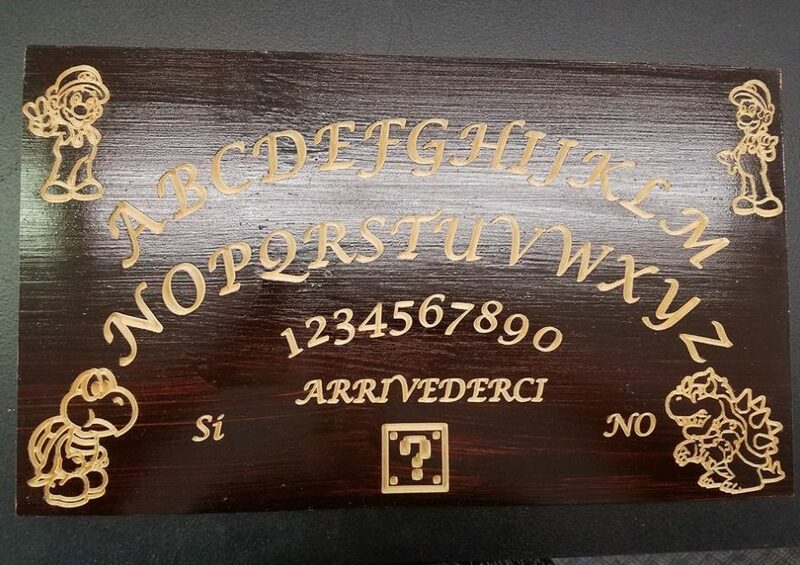 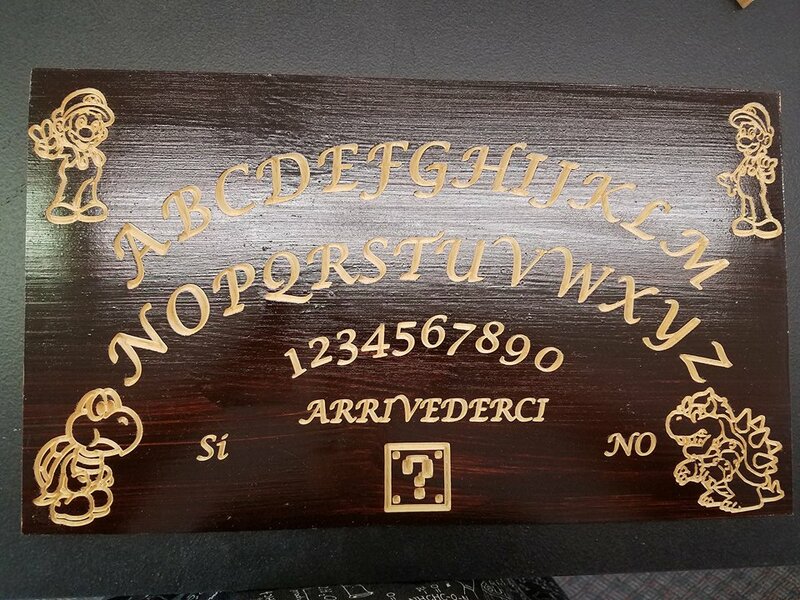 Some people can’t pronounce Ouija and they call it a Luigi Board. 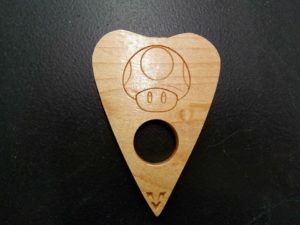 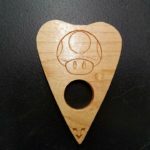 So my wonderful husband did a play on that and made a Mario and Luigi Spirit Board. Made of one solid piece of Maple and stained dark. 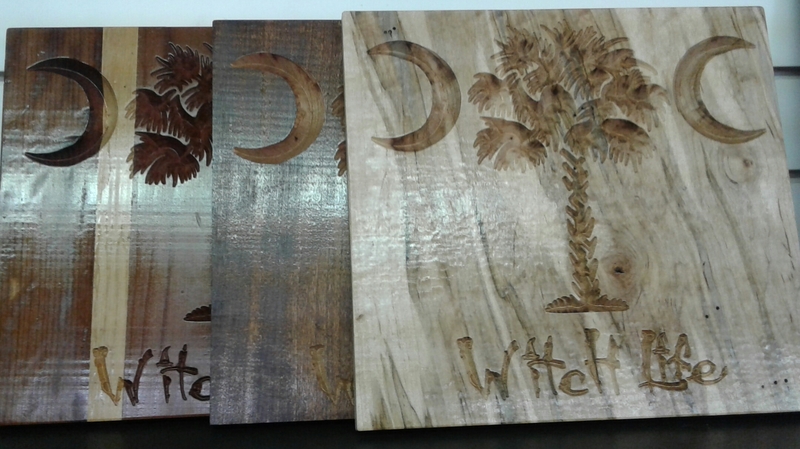 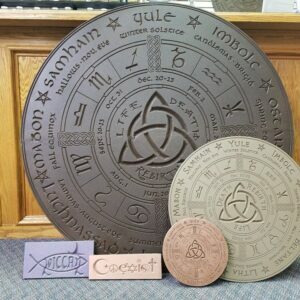 It measures 16″ wide x 9.5″ tall x .75″ thick. 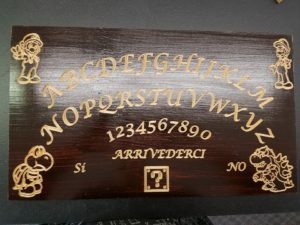 The planchette measures 4″ tall x 2.75″ at it’s widest and is .25″ thick.